Sprightly Software today announces 2 Turntables and a Microphone 3.1, an update to their highly advanced DJ setup for iPad. 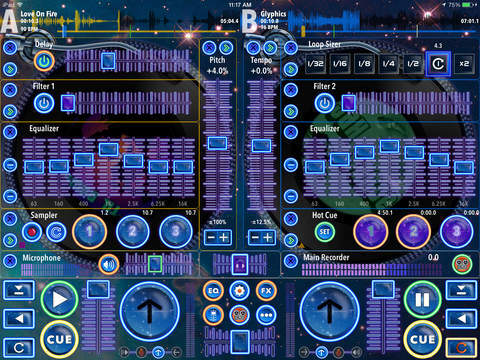 This music creation app features pro decks, crafted to reproduce the subtle dynamics of vinyl. Whether it's creating original music, recording live loops, remixing, or live DJing, 2 Turntables offers everything needed to produce professional quality music. Version 3.1 combines digital loop technology and turntablism, bringing music into the space age of creative expression.